Knowledge is at the forefront of every activity we undertake, in one way or the other. Man has an unending thirst to know more. This thirst is the directly the engine that drives all progress in any field. From the time that the wooden club was the smartest thing invented, we as a race have been unyielding in the pursuit of knowledge. The Boat Club Quiz Club (BCQC) was founded in 1999 with a similar drive in our minds. The knowledge transfers occurred by that most beautiful of formats – a quiz. Enthusiasts would gather at the Boat Club on Saturday evenings and hone their quizzing talents. With an open and creative attitude, it grew to Pune-wide status. Nationally, it has a reputation for being very innovative despite its relative smaller size, and many of its members have won top Indian quizzes. CoEPians have always been at the heart of the club and the BCQC's continuing success is an illustration of the intellectual and creative qualities of CoEPian minds. The BCQC is an open group, which means that you could be anyone at all and belong to the club. You could be an engineering student, a medical student, an MBA aspirant, a working professional or anything you want. 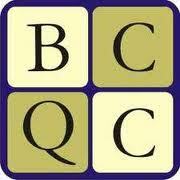 All you need is a genuine interest in quizzing to be a member of the BCQC. Apart from gathering once a week to hold informal quiz sessions, the group now holds about 15 formal quizzes a year spanning across age groups. The largest open quiz in Pune – Chakravyuh, organized with MindSpark – also occurs under the aegis of the BCQC. The club became an official CoEP club in the year 2010. The college chapter holds several quizzes for CoEP students throughout the year on a wide variety of topics. The quizzes are anticipated by all and often take place to packed houses. Quizzing as a sport greatly enhances the inquisitiveness of students helping them explore a wide range of topics. It increases daily awareness and helps boost positive habits such as reading and independent research. Students are up to date in recent development across a large range of fields- the requirement of the day is to be well informed. It greatly enhances their ability to sound very well-informed in discussions. Students get a chance to meet people from all walks of life and exchange stories.